When it comes to considering whether or not to hire a professional electrician, Fremantle homeowners and businesspeople should always be sure that they err on the side of caution and don’t take risks by trying to perform the job themselves. This is because, of all the things that can go wrong in a home or business, the very last thing anyone wants is for there to be a long-term problem with the electricity. Our lives ultimately depend extremely heavily on electricity, with even the simples of everyday tasks becoming highly difficult to perform in its absence. Therefore, when electricity problems strike, it’s vital to get them resolved quickly if you want to avoid further inconvenience and frustration down the line. And it’s also naturally important to do everything you can to minimise the risk of anything going wrong in the first place, especially given that electrical issues can be outright dangerous as well as inconvenient. 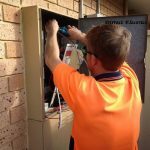 Fortunately, when it comes to finding a reputable commercial or residential electrician, Fremantle locals don’t have to look far. 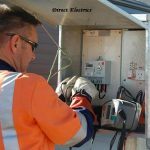 Here at Direct Electrics, we’ve been serving the people of the Perth region for over a quarter of a century, so when it comes to knowledge of the industry – and of local laws, regulations, customs and peculiarities – we’re truly second to none. Furthermore, we’re committed to ensuring that the highest possible standards of customer service and workmanship are upheld at all times. That’s why we train each and every member of our team ourselves, allowing us to know with confidence that our electricians are genuine experts with the highest levels of knowledge and skill, and who always maintain the highest regard for customer satisfaction. Fremantle customers are in the fortunate position of knowing that Australian federal regulations, as well as the state laws of Western Australia, do a good job of guaranteeing a certain level of aptitude and professionalism in the electric industry. But nonetheless, it remains a very good idea to think carefully and do your research before choosing which electrician to hire for your job. 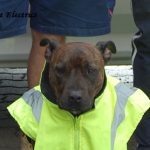 Always be sure to check out the reviews on their website: those electricians who are unable to demonstrate that they’ve got a solid history of providing services that their customers are happy with are often not to be trusted, especially when others exist who have built outstanding reputations in the local industry. It is absolutely vital to remember to check that your electrician is fully licensed and insured, so that you’re completely protected against any losses or damages in the event that something does go wrong during the course of the work. 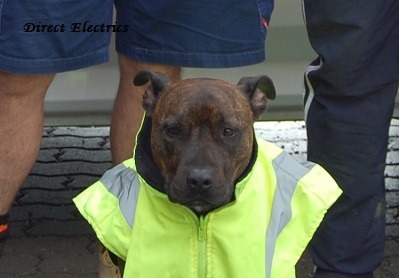 Here at Direct Electrics, we’re proud to be the highly experienced, highly regarded and fully insured commercial and residential electricians Fremantle can always trust to do a great job at a fair price. Simply get in touch with a member of our friendly team today to find out more about our services or to arrange a visit from one of our electricians at a time that’s suitable to you.